The Rev. Meredyth Ward is organizing and leading an Urban Mission in Worcester, in the Main South neighborhood, and parishioners at St. Luke’s are excited to be involved! 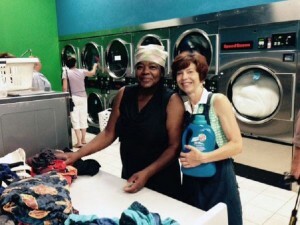 Free laundry night will be offered once a month, on the second Thursday of the month at “Suds Up”, on Southbridge St., 6-9 p.m.
Prayers and Presence! Your loving prayers and caring presence in support of this mission would be greatly appreciated. Quarters, although paper money can often be changed into coins as needed. That’s our most pressing need right now! “For Laundry Love” in the memo line. If you are able to bring any of these items to the church, Betsy Bronstein-Politz will get them to Meredyth. And come to the event and hang out! All are welcome. For more information, please contact Betsy at Elizabethbronstein@charter.net or 508-254-0862.